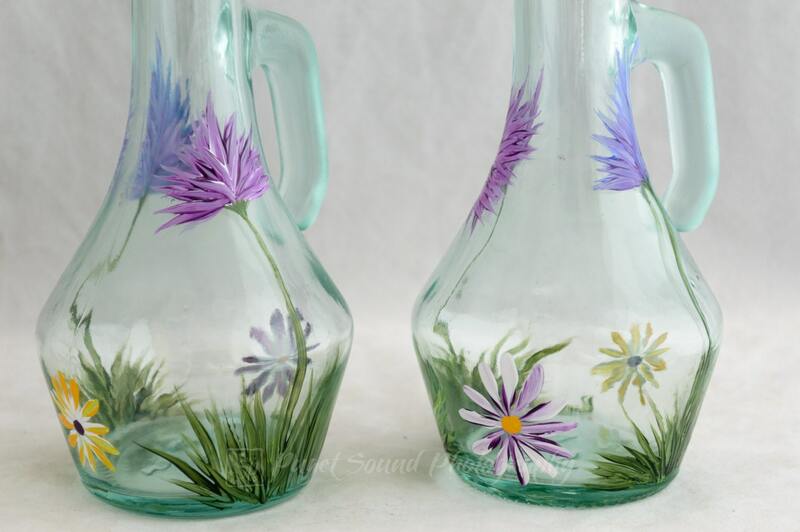 These two decanters are Thistle & Daisy Design. 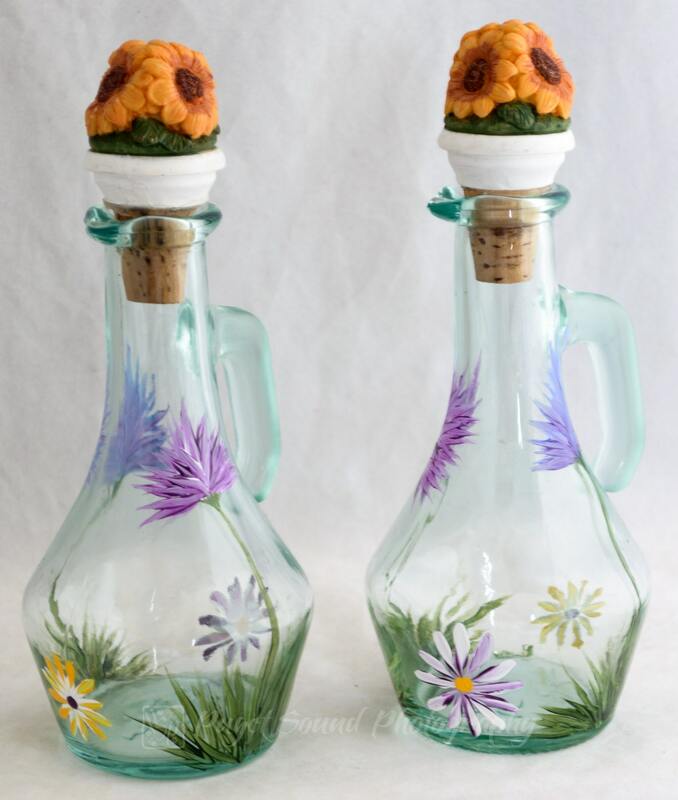 For use with Oil and Vinegar, but could be used for other items such as for syrups and such. These pieces are living art for everyday use. All of items are signed by American Artist Penny Russell. All items are 100% hand-painted using quality acrylic enamel paints and are cured resulting in a scratch-resistant, high-gloss finish. It is recommended to hand wash only to preserve heirloom quality.